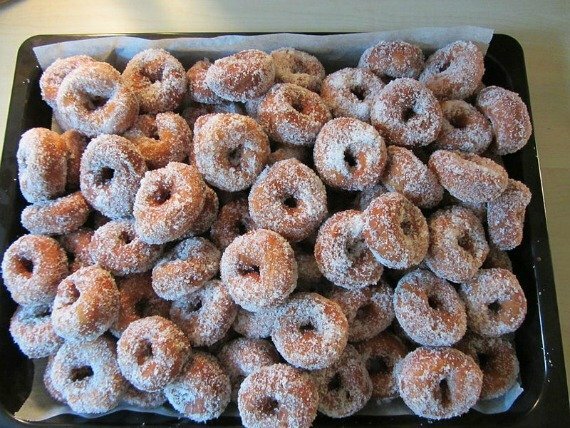 Doughnuts enough for breakfast, lunch and dinner? It’s official, London hearts doughnuts, or perhaps that should be ‘donuts’ for our American friends and founders of this sugarlicious treat? This being London though, we haven’t just adopted Krispy Kremes, oh no, we’re making them ourselves and we’re making them trendy. So whilst sojourning in in the capital, where can you sample the British rival? Well, for some particularly delightful varities, including Millionaire’s Shortbread or Kiwi and White Chocolate, try the wonderfully named Glazed and Confused. These babies can be delivered to your London Perfect doorstep or are available across town at various coffee shops (see their map for details). Elsewhere, try Columbia Road on a Sunday morning for an armful of flowers and a sugary treat. 1235 Donuts change their menu weekly, but note they sell like…well…hot cakes, so get there early before they all go. Alternatively, if you’re shopping at Boxpark, then try Dum Dums Donutterie (yep a new word for me too), personally I fancy the Banoffee or the Almond Crème with Pistachio, and thankfully for your arteries these ones are baked. Surely allowing you a second helping, no? Yum, yum. Posted on Wednesday, April 23rd, 2014 at 11:42 am in Food & Drink. You can follow any responses to this entry through the RSS 2.0 feed. You can leave a response, or trackback from your own site.